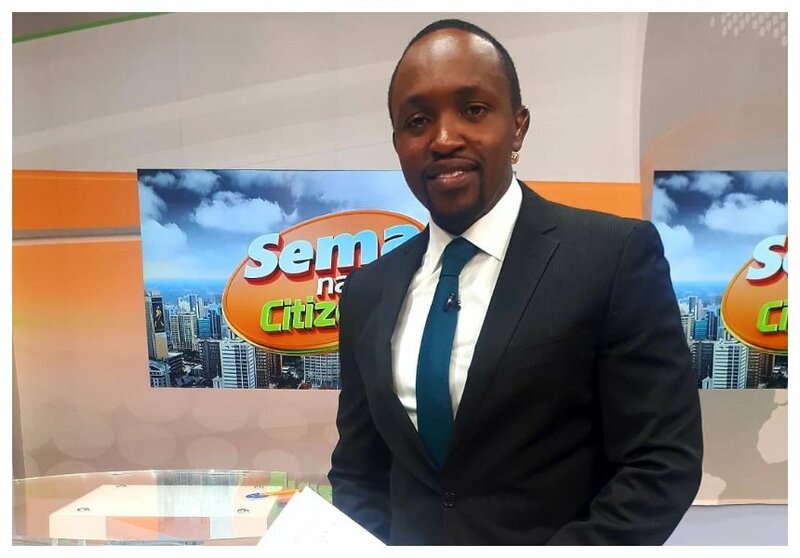 A clip showing Citizen TV reporter Hassan Mugambi smacking fellow journalists at DusitD2 hotel has gone viral on social media. The drama started when Interior Cabinet Secretary Fred Matiang’i showed up at Dusit where he held a press briefing. Journalists jostled for good positions so as to record the CS. Mugambi however didn’t take it lightly that some journalists were blocking Citizen TV from covering the press briefing, he took matters into his own hands and decided to smack fellow journalists. Mugambi has since come to explain his action after the clip went viral. Speaking during an interview with eDaily, the Citizen TV reporter explained that journalists had agreed not to block the frontal space of the venue but surprisingly they went on to breach the agreement when the CS showed up for the briefing. “I was live on Citizen TV when the selfish and quite inconsiderate group decided to form a human ring around the CS’s venue for press conference. Our cameraperson couldn’t get a decent shot of the CS, who was about to address the journalists. Until that incident, we had agreed that no one would block the frontal space of the venue, where the CS made his address. However, the group quickly forgot our agreement, and decided to defy it, with some occupying that space while carrying their smartphones. I was, consequently, angry because our news director was shouting in my ear piece asking for a clear shot. I found myself being aggressive toward the group,” said Hassan Mugambi.